Visiting the The Golden City of Hakropliah. On September 10th, 2014, we visited this city which resides in the 5th dimensional earth over Taiwan with Lady Quan Yin and Angel Roshel. We included the many lost souls within the earth for the remembrance of 911 from 2001 as the Clarion Temple of Oneness represents the healing of many souls of light from this tragedy. We dedicate this teaching on this night to a special soul who transitioned with a great trauma. Her name is Amy; she was beautiful, kind, and loved by many. She now continues her journey through the heavens while working with the Beings of Light. Take a deep breath. Feel yourself in that meadow right now; your Merkabah vehicle fully being activated with your Body of Light. As we gather in the meadow we see many, many Souls that are joining us. Stepping forward is Yamteleus, Archangel Michael, John who are the administrators of the Clarion Temple of Oneness, and many others that are assisting; that have walked this pathway before many. There is a special pathway that we walk upon and then there is a clearing. There’s a beautiful pagoda that we step into. Within this pagoda, there are beautiful Essences of the Pink-Orange Ray flowing within. As we sit within this very, very large pagoda with all the Soul’s around us – we circle. Some may be scared. Some may be unsure of what they are about to experience. So it is our job as each individual Being That We Are that have walked this pathway to show them what it is to embody the Rays of God. Feel your Love and your Wisdom; your Will and your Power; your Creative Actualization which is Compassion and Love. Feel the Harmony and the Balance of the Crystalline Ray. Feel the Science of God That You Are of your Higher Self fully intact. Feel your Inner Devotion to be here at this moment as this is the most important element for you to participate in; the Violet and the Purple of the Ceremonial Structure; the Sea Foam Green of the Higher Cleansing; the Attraction to the Body of Light with the Blue-Green; the Pearlescent of the Blending of the Masculine and the Feminine; and then the Pink-Orange. As we embody all these elements within ourselves this City radiates it. It expands it out of the 5th Dimensional Realm into the 3rd and the 4th. So it expands around the World into GAIA so that every Being upon this planet will feel Compassion and Mercy for what they are going through. Expand upon it now. Allow it to flow within you. Allow it to be within you, the Core of your Being, going deep into your Solar Plexus. Breathe in deeply into the Purification of your Essences. It is I, Lady Quan Yin at your service with Angel Roshel. It is our pleasure to host this beautiful evening, to host this beautiful energetic exchange. Feel the Pink-Orange Ray through the hues of the Light of the Sun above. See it amongst the meadow of the many different flowers. Feel the Purification of the Essence as there is a beautiful, beautiful stream of waters that goes around the City. Feel the flowing energies of the waters. Allow them to come fully within you so that you may express your highest part of Divinity that you have ever experienced. There are some Souls that are here that have great sadness. There are some Souls that are here that are confused. There are some Souls that truly know they need to be here but they do not know why. I am sure that each of you have felt these energies within yourself at one time or another. Maybe they are occurring presently. What is it within yourself that needs to be expressed? The depth and the core of your being that is part of you that has been lodged inside of you trying to be removed. Many of the Souls that are here presently – the wayward Souls are now starting to feel a releasement. Can you feel the expression that is within you that needs to come out of you? I ask you now to breathe deeply into any parts of yourself; whether it be in your Physical Body, in your Emotional Body, or your Mental Body that needs to be addressed. Allow the Purification of the Pink-Orange Ray to flow through you and bring it up. As it passes through you, it will not attach itself to anything but it will help remove the particles that needs to be accessed. These elements must occur for an individual to fully have completion within themselves. There are many levels of completion in your day that are necessary. You are changing consistently. But until you realize the changes that occur, then you cannot accept Who You Are becoming. Let us all take a deep breath. Let us all feel the beauty of being together in this moment. I send this Purification of Light into the Core of your Solar Plexus. It is truly your Divine Love, your Inner Power to bring forth these Essences onto the full existence That You Are. Now feel the Ray purging out of you and taking what it is that you no longer need. Allow it to be purged out of you just with the frequency of Light. As we look across the meadow, we can see pockets of darkness through the Rays that are going to the other side. They are going to be purged into the higher core of the Light into the Purification of Essences that are within this beautiful Golden City of Light. We now arise and step down onto the meadow once again and walk this beautiful pathway. As we walk away from the pagoda and make a right hand turn, we follow the pathway with many flowers of many levels. The pathway is strewn with sand and beautiful Essences of Crystalline structures. As we walk across them we can feel the frequency going up through our feet and helping to heal our physical bodies. Not far ahead is the beautiful Rainbow Bridge. It represents all different colors of the Rainbows of the Rays of God. As you step up onto the bridge start to access the parts of yourself that you have not felt before. Allow yourself to walk through from the “old energy” into the “new”. This is exactly what is happening. As you walk across the bridge, you walk across this beautiful body of water with Crystalline colors. You may stop and look down. The Crystalline rocks within the waters shimmering up at you as the Sun shines down upon them creating a prism of Light fully coming into your full existence. It starts to change you. You feel a reflection within yourself, a sparkle of Light as your Masculine and Feminine Divine within your Heart are fully One. You are your thoughts and you are your emotions, but they are not out of control. You have now tapped into your Higher Mind. As you walk more across the bridge, it has a little bit of an incline and as you are in the middle you start to feel that accessibility of your Light That You Are to fully come into your entire existence. It flows all the way down into your Earth Star in through the souls of your feet. Your chakras are spinning. You feel the beautiful Essences within you becoming more than you ever thought possible. All the Souls are now coming with us. These beautiful Souls that have been lost are now going to be found. They are going to be able to find themselves with others that have experienced the same as them just as you have experienced. As now, we step down across to the other side. As you step to the other side, feel the Strength and the Power that you have within you. Feel the ability to expand the Purification of your Essences through all parts. You first feel it physically as it spins upwards through all your chakras going up to the top of your Soul Star going into all your joints. Everything is spinning. You feel your chakras spinning within you colors-upon-colors. The Rays of God are You. As you now walk further down the pathway, you feel the electrifying frequency of Light of your Soul Body now accessing within your physical. This allows the blending of your Mental and your Emotional faculties of the Masculine and Feminine. It allows the Purification of your Heart Centeredness to be the Christed Being that you desire to be; but yet you are feeling it physically. As the pathway continues there is a grove of trees. It’s a tropical setting. You feel the warm of the air across your body. You feel the beauty of the Sun being down upon you as now you step towards the Temple of Divine Mercy. Feel yourself walking into the Temple. The Temple is octagonal. The body of water of the stream that we crossed now is flowing around the Temple. As you look down you can see it through the Crystalline glass below your feet. You feel the waters flowing within you. As we walk into this Temple, see the beautiful Flame of the Pink-Orange in the middle. You slowly walk around it. Feel the warm of that Pink-Orange Flame. Feel the Crystalline structure upon your feet. Feel your entire body becoming Crystalline as this is what is happening to you. You feel your physical body accepting it. You allow yourself. There are many pillows around the floor and we find a place to sit. I, as Quan Yin and Angel Roshel, stand in front of you on a platform that is on the outside of the Flame and each of you sits there as you feel your Divine Essence fully activated; but yet your body is completely clear. The other Souls that have come in are going through a transformation, a very transformative process to allow their Light frequency to be accepted within themselves so that they can go to another plane of existence. As you sit upon this Crystalline structure, I want you now to feel your physical body. I want you to feel the strength that is within, because you have had the ability to walk through many doorways to get to this space. Feel Compassion for yourself. I want you to think about the struggle that you have come upon in this present circumstance, in this present moment of time. Do not reflect upon the darkness of it, the depth of it that has taken you to a deeper space that you have not been able to control; but I want you to see the beauty of it. Because in every part of life that we experience, there is always the depth of understanding of that trauma to take you to a new healing space. Feel this within you now as all the Souls that have joined us from all the walks of Light are starting to see their realizations; starting to see that it is time for them to move into a new existence. There are many helpers here in this moment as we have invited the entire God Force, all the Ray Chohans, all the beautiful Beings of Light from planet Earth and beyond of the Christed Extraterrestrials. They are all assisting these beautiful Souls and each of you to know more about yourself than you have ever done. As the Flame is within you, you feel it coming towards you almost like a dragon. You feel the breath of the Flame coming within you; take these breaths. Allow yourself to ingest it deeply into your Solar Plexus. Feel the Divinity of Love That You Are. This is being Merciful; to allow yourself to fully experience the Power of your Light within you. Allow this Light now to go into the spaces that have been imbalanced and that have been out of commission. Allow the Essence to fully come within you. Feel your Purification. Feel the Light That You Are as now you arise. You walk towards the Flame. You are now One within the Flame. Each of these Souls that are here are part of this Flame. Feel the beautiful Divinity of Love That You Are. Feel the next step of your journey helping you to walk through it, to complete it, to allow yourself to understand within that you have fully embraced a new aspect of your Beingness allowing yourself to fully understand. That creates acceptance; acceptance of Whom You Are is now fully incorporated within your Soul’s Beingness. It is the Divinity of Light That You Are. It is the Divinity of Life. Feel your Compassion. Feel your Mercy. Feel your Divineness. It is now time for us to leave the Temple. As we walk around the Flame in a clockwise manner, we start to feel how time is assisting you as where you were before has allowed you to walk into Whom You Are now. Feel that Beauty and that Joy. We now step down from the opened Temple and return back onto the pathway. On each the left and the right sides are these beautiful Beings of Light. Each of them is taking a group of the Souls that have come for the healing. It is now time for them to continue on their journey just as it is time for each of you. This is the beauty of what is happening right now. We are helping so many Souls (in the 1000’s) going towards their Light. It is now time for them to continue their journey on the Inner Planes, to have left the Astral Planes. As each of us walk down this pathway, I as Lady Quan Yin am deeply honored. 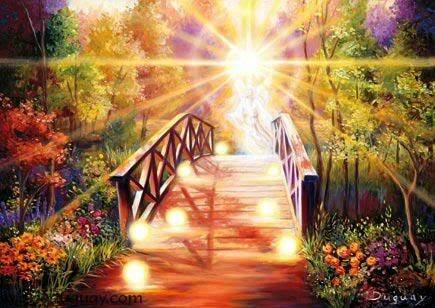 As you walk across the Rainbow Bridge, the Bridge of Accessibility what does it feel like for you now? You are accessing so much more than you did before. You’ve allowed the frequency of Light of this Ray to fully be you. You are the Freedom into the New World, into your New Self. Remember this each time you need to do this walk. As we step down onto the other side, Lord Adama is waiting for you. I, with Angel Roshel fully bless you in these moments. Allow the Purity of Whom You Are to always be your Guide, not what your Mental Mind thinks. Allow the Purity of your Light to guide you into the dark holes that await you in moments of your re-creation. You are the transformation you have been searching for. You just must acknowledge it in each moment. 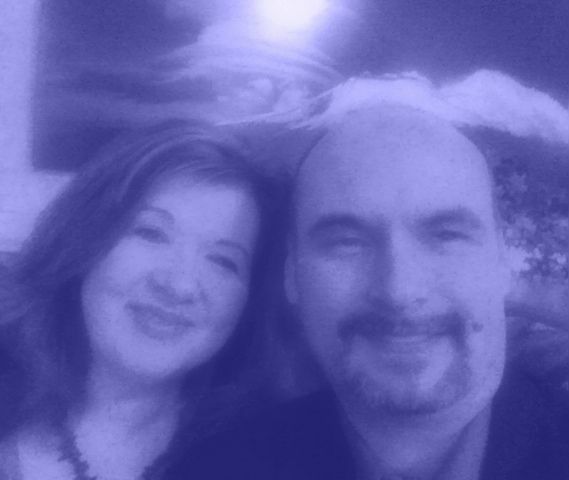 My Blessings and Love in All That We Are Together. I deeply Thank You and Anoint you with the Essence of the Pink-Orange Ray always to be your Guide. This is a weekly class which meets on Wednesday’s at 4:30 PM Pacific. Individuals are encouraged to join the live meditations which requires a registration for each call or as a member on our program. This information is available via Walking Terra Christa, http://walkingterrachrista.com/classes/golden-cities/. Please note that the recordings of these journeys are only available by purchasing the MP3 file by clicking the above link for the Golden Cities. This entry was posted in 5th Dimension, Channeling and tagged 11 ray, 5th Dimension, Angel Roshel, Ascension, ascension teachings, Clarion Temple of Oneness, etheric earth, Golden Cities, healing souls, higher self, I AM Presence, Lady Quann Yin, Lord Adama, meleriessee, Mercy, New Earth Cities, pink orange ray, soul healing, Walking Terra Christa. Bookmark the permalink.